Kammarton Bulgaria will take a part in BULGARIAN BUILDING WEEK. The 17th edition of the forum will be held from 15 to 18 March 2017, Inter Expo Center - Sofia. More than 200 manufacturers and importers of building materials, machinery and technology, wood and PVC windows, doors, chemical, thermal and hydro –insulations from Bulgaria, Germany, Poland, Romania, Italy, Czech Republic, Turkey and Moldova will participate. The international exhibition will be for the professionals and the end customers. This year, Kammarton Bulgaria as the exclusive representative will present Milwaukee Electric Tool Corporation, USA. 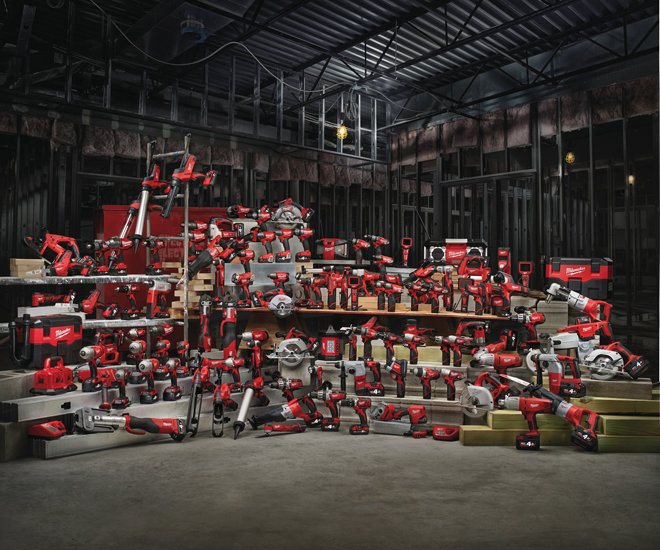 Milwaukee extensive range offers over 500 different models of various power tools - jigsaws, circular saws, screwdrivers, rotary and demolition hammers, impact drills, grinding and polishing machines, measuring equipment, products for special applications and over 3,500 accessories and consumables. Welcome to Hall 3, stand A6, Inter Expo Centre - from 15 to 18 March 2017. Invitation with a link to registration visit.